Howlin’ Banana Records in Paris, France just released a new 7″ from Parisian garage psych-outs TRAVEL CHECK. 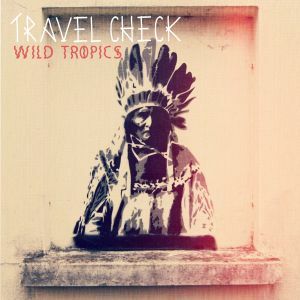 Wild Tropics is their first release on vinyl and they cite US bands like Thee Oh Sees and Black Lips as a source of inspiration. There isn’t much else we’ve been able to dig up on these guys, but they operate as a 3-piece band and before this 7″ it looks like they’ve dropped two other self-released EPs. Fair enough, because with the way their new 7″ sounds, these guys were ready to take things to the next level. The 3-track single slithers opens with the smokey psych haze in “Pokayoké”, making for an immediately sinister feeling that should quickly catch your ear with chilling lead guitars. Toward the end the track begins to grow into a whirlwind of swirly guitars, making for a hard-hitting and mesmerizing finale that doesn’t loosen its grip until the last possible second. “Sunday (On My Mind)” comes through with a more simple and straightforward pop-centered formula, until a squealing, high-voltage guitar solo bursts the song open at the seams and keeps us guessing what else this band could be capable of. To cap it all off, they follow through with these brooding and lysergic vibes in moody B-side “Tripping Waves”, creating a wet and slippery psychedelic sound that closes out an undoubtedly solid 7″ single. Hear “Pokayoké” right below, then take a minute to check out the wigged-out video below for “Tripping Waves”. Then be sure to keep a close eye on these guys for whatever comes next. BUY the 7″ directly from Howlin’ Banana Records in Paris ! 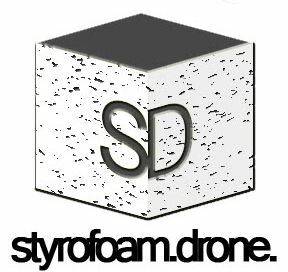 Posted on March 27, 2013 by styrofoamdronePosted in 7", Reviews, Still Spinnin'Tagged garage rock, pop, psychedelic. Natural Child - White Man's Burden 7"
Shockwave Riderz - Dearest 7"